The Lusty Lloyd Loom Model 1056S is a small but surprisingly roomy linen basket, ideal for the spare room or guest rooms. 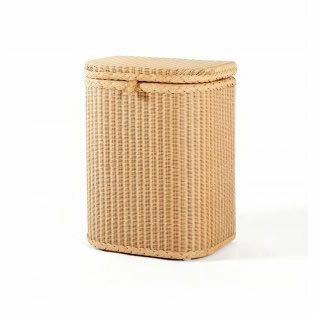 Lined with cotton, Lusty´s Lloyd Loom linen baskets aerate whilst shielding fine fabric from dust. Designed by Jim Lusty circa 1930.